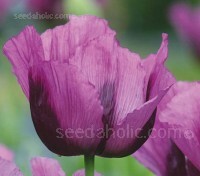 'Papaver rhoeas 'Pastel Doubles Mix' is a glorious mixture of double flowered poppies. 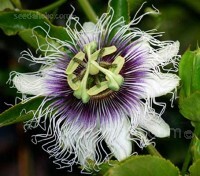 Sown once the ground has begun to warm in late April, by June you will be blessed with the goose neck, prickly buds and shortly after, the gorgeous silky-petaled blooms. Originally raised in the 1880's by the Rev. Wilks in his garden in Shirley near Croydon in Surrey. 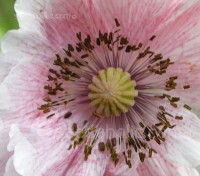 The flowers are often likened to tissue paper, in colours from the brightest scarlet to pure white, with all shades of pink in between and all varieties of flaked and edged flowers. With its brilliant scarlet flowers, this native wild flower needs no introduction. 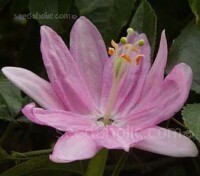 Single, red, cup-shaped flowers usually with a black blotch at the base of the petals. 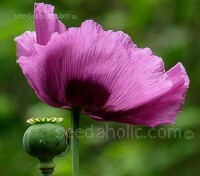 It is the classic poppy bloom that paint a road verge or embankment a brilliant hue in their first year. With its brilliant scarlet flowers, this native wild flower needs no introduction. 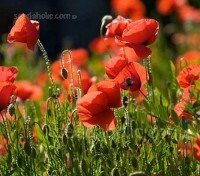 Papaver rhoeas offer a profusion of flowers and are a good choice for naturalising in a meadow garden or anywhere for a splash of colour. 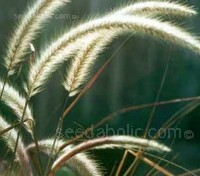 Organic Seed. 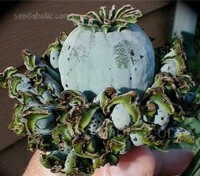 This ancient form of cultivated poppy produces the most unusual seed pod of all poppies. The main pod is surrounded by masses of smaller pods. 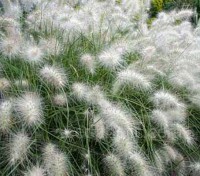 Primarily grown for their curious seed pods which are extremely decorative, they are much in demand for cut and dried flower arrangements. 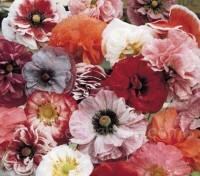 With their impressive variety, spectacular blooms and strange seed pods, 'Pepperbox' poppies are one of the easiest ways to add a bit of architecture and a lot of colour to your garden. 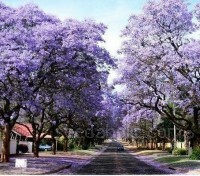 The glorious, papery-textured flowers bloom in a multitude of colours, rich purples, deep reds to pale lilac-pinks. 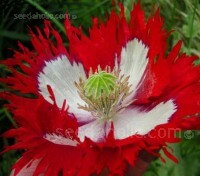 Papaver somniferum ‘Danebrog’, also known as 'Danish Flag' is a beautiful single red poppy variety with a broad white cross in the middle of each flower. Wrinkly single petals with lots of fringe, the blossoms actually resemble the flag of Denmark, hence the name. 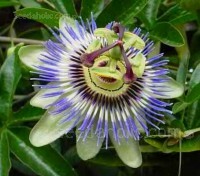 There are dozens of species of passion vine grown, but one that always gets a lot of attention is the Giant Granadilla Passiflora quadrangularis. 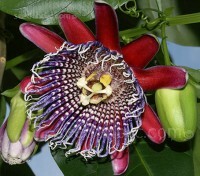 One of the most beautiful passionflowers with large, fragrant flowers with deep red petals and a centre crown that contains rows of numerous white and purple rays. Pelargonium ‘Paintbox Mixed F2’ is an excellent quality strain producing compact plants that are uniform in habit and early into flower. 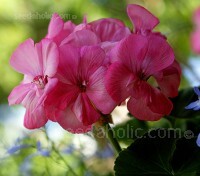 These multi-blooming plants are ideal for hanging baskets, containers, bedding and borders. In a fashionable colour mix: scarlet, salmon, pink, magenta, white and bicolour. 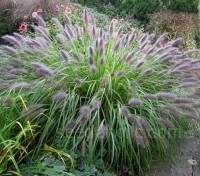 Pennyroyal is a cottage garden plant of old. 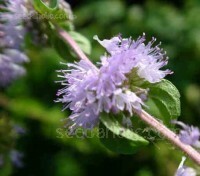 This highly aromatic herb has a strong peppermint scent to its dark green leaves, even more so than other mints.With attractive whorls of lilac-blue flowers, it can be used to carpet a shady corner or make a 'lawn' smelling deliciously of peppermint. Today, Pennyroyal is seldom considered a culinary herb, it can be found naturalised throughout the civilized world. 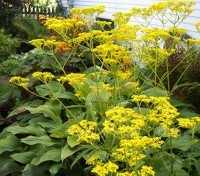 In mid to late summer, attractive whorls of lilac-blue flowers appear held above the foliage on stout stems. 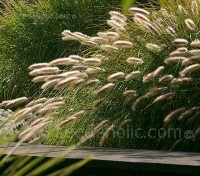 Organic Seed. 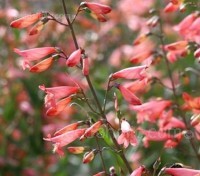 Penstemon barbatus 'Twizzle Coral' adds a graceful twist to the garden. 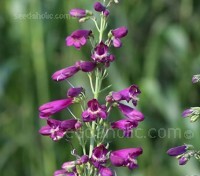 A first year flowering perennial, that is hardy and vigorous, it boasts twice the length of flowering stems, giving longer, more elegant wands for the vase while preserving the natural elegance of Penstemon barbatus. 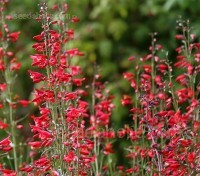 Awarded the Fleuroselect Gold Medal for striking colour, plant habit, and flowering performance, Penstemon barbatus 'Twizzle Scarlet' is a first year flowering perennial that will add height and high-impact colour to the border, giving superb flowering performance from mid to late summer.